[ ]One of the most exciting time as a mother is childbirth. You will finally meet your baby who has been growing inside your womb for the last nine months. Having a baby can be difficult to your body, especially when you had a cesarean section (C-section). More time is needed for a C-section recovery. Here are five things new mothers should know about C-section recovery! 1. Things to do and to avoid doing for C-section recovery. Try avoiding taking the stairs as much as you can. Avoid lifting anything that is heavier than your own baby. You could ask for help from your husband or any of your family members. Avoid exhausting exercises, but try to often go for short walks which is important for your recovery. It may prevent constipation and help your blood circulate better that you will much less likely develop blood clots. Try holding your abdomen in order to protect the incision site whenever you have to sneeze. It is also important to urinate regularly. A full bladder will make the uterus contracted and increases pressure on the wound. Taking care of both your physical and emotional health is very important. After having a baby could bring up feelings that you have never expected. 2. Be careful with use of prescription medications. Always ask your physician what pain medications that you can take, especially if you are breastfeeding your baby. Depending on the level of pain or discomfort, your physicians may prescribe pain relievers or over-the-counter medicines. You may also use heating pads to relieve the discomfort experienced at the surgical area. 3. Pay more attention on Nutritious Food. Eating the right kind of food will keep you and your baby healthy if you are breastfeeding and help you recover. 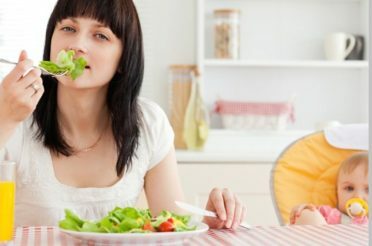 A study showed that eating vegetables when breastfeeding provides tastes in breast milk which will increases your baby’s consumption of vegetables as they get older. 4. What to expect emotionally after having a C-section? Going through a wide range of emotions is very common to most mothers during the postpartum period. Some women have the “baby blues” which is a normal short-lived period of feeling sad and moody that is triggered by hormonal changes occurring shortly after birth. In some less frequent cases a women can have a postpartum depression which is more serious and sometimes require treatment with medication or therapy. Keep in mind that healing from any surgery may require significant time and energy. Try to be more patient and in time you will be able to feel better, and enjoy your time with your new baby! Like any other surgery, after having a C-section your body requires time to heal. Expect to stay in the hospital for two to four days after your delivery and give your body up to six weeks to heal. But your C-section recovery will be best measured in weeks, not in days, so you will need a little help taking care of both yourself and your baby. Always plan to get all the help you can in order to get plenty of rest. 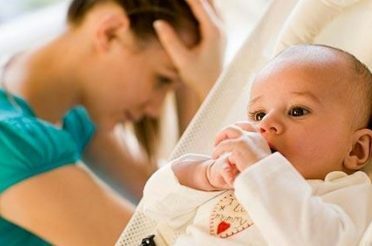 Why Do New Moms Get Postpartum Depression?